Monitor anonymized forums and marketplaces for attacks, threats and incidents that put your brand, employees or customers at risk. 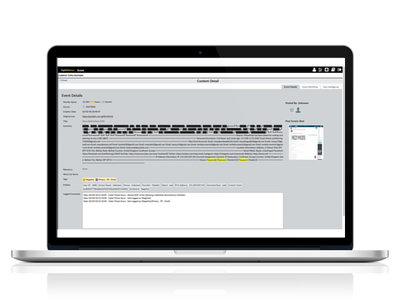 Dark web monitor persistently scans anonymized sites, posts, forums and marketplaces for conversations and content pertaining to attacks, threats, and incidents that put your brand, employees, executives or customers at risk. Dark web monitor provides automated visibility into the obscure and anonymized Internet, automatically monitoring & analyzing chatter, detecting threats and enabling you to take action to mitigate risk to your organization.